We apologize for the changes, but due to unforeseen circumstances, director Nathan Smith can’t join with us this time. He will talk by Skype. We look forward to seeing you all there! 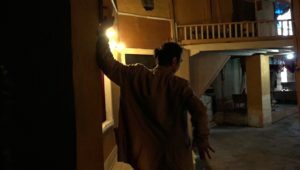 As a part of the <International Artist in Residence Program (AIR)> in which we invited artists from abroad to make a piece in residency with a Japanese artist, we will have a screening of the film that JCDN and the Kyoto Art Center produced from 2014 to 2017 as well as a short dance film by the same director. Also, we will have a talk session about what is happening with dance films abroad with Naoto Iina, from the group Dance and Media Japan that held an international dance film festival to introduce dance films from Japan and overseas. We will also hold a director’s talk with the director Nathan Smith from Australia. Don’t miss these special films that you cannot see on DVD! 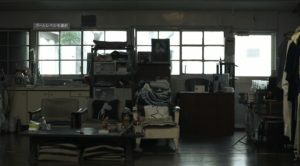 Israeli choreographer Inbal Oshma and novelist Yannets Levi produced this film in Kyoto as resident artists at Kyoto Arts Center in 2014.They were inspired by the haiku by Matsuo Basho (“Even in Kyoto – hearing the cuckoo’s cry – I long for Kyoto”) and composed a story rich in poetic sentiment with dance and music. * This piece was filmed in Kyoto city with dancers and filmography staff from Kyoto in the 2014 KAC International AIR Program. Inbal Oshman’s dance works find inspiration in diverse cultural sources. Her movement and artistic vision offer a unified compound of mythical, historical and cultural elements from different worlds. Oshman creates dance for stage, public spaces and screen. Her pieces are shown and performed in Germany, Italy, Belgium, Switzerland, Japan, India, Portugal, Serbia, Cyprus and other countries. In 2013 Oshman was a resident choreographer at Attakkalari Dance Company, Bangalore, India where she created M to Stabat Mater by Pergolesi for the company’s 4 senior dancers. 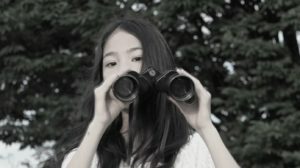 In 2015 she was a resident choreographer in Kyoto Art Center, Japan, where she created the dance film The Cuckoo’s Cry. This film has been shown in a variety of festivals around the world and is part of Ikono TV repertoire. Since 2016 M is performed in Europe with the prestigious Camerata Geneva. In 2018 M will premier in the US as part of Peak Performance program in Montclair State University with the New York Baroque Incorporated. As of January 2016, Oshman is a resident artist in Fest'Factory, Bat-Yam, Israel. During her residency, she has created and performed Homeless Lullaby, a dance piece inspired by lullabies from around the world. Homeless Lullaby will be performed in Dresden, Germany in 2018. 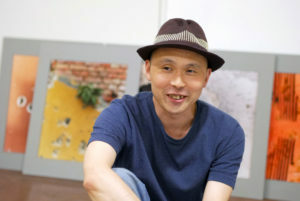 Constantly researching theory of the choreographic act, Oshman is also a graduate of the Philosophy and History Department of Tel-Aviv University. 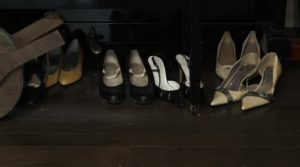 Other dance pieces by Oshman: Fitting Room, Yellow Bride, Gradation, Rising Down and Border Lines. “Love Dream” 2015 7 min. 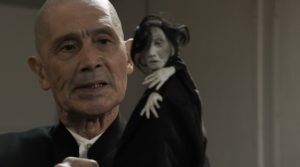 Butoh artist Yoshito Ohno performs with a finger puppet of Kazuo Ohno, the butoh artist who is also his deceased father. 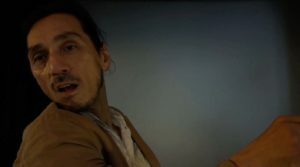 The love and hate of this father and son who live for dance is danced to Liszt’s piano song “Love Dream.” It was filmed at the Kazuo Ohno dance studio. 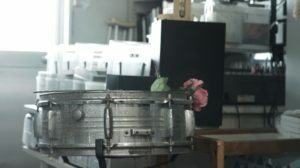 It was filmed in only two takes with no rehearsal, and the additional take uses the Elvis Presley song “Can’t help falling in love.” This version set to the Elvis song was shown in the piece entitled “About Kazuo Ohno” by Takao Kawaguchi, which was performed in 30 cities all over the world. In a pornographic movie theater that looks abandoned, there is a film festival with no audience. The phantom movie “Neppu,” which was shown only once in 1930, is being shown again in the town’s old movie theater. Concerning the phantom movie, the aging film director (Uichiro Fueda) and the local guide (Takao Kawaguchi) meet each other in Okinawa. * This piece was filmed in Okinawa as Act 3 of the 4-act performance piece “Neppu” which was produced in volume 4 of the JCDN International Dance in Residence Exchange Project in 2014. 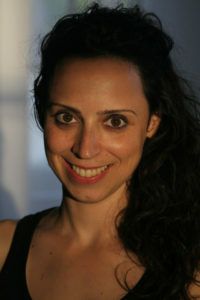 Iina is active in a wide variety of disciplines as a producer, dramaturge, director, and filmmaker. 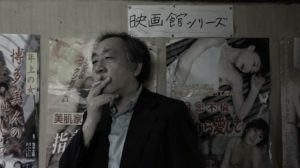 As a filmmaker he has participated in Hiroshi Koike’s “Kaze no Matasaburo” and “Sekai Kaigi,” Takao Kawaguchi’s “About Kazuo Ohno,” and Makoto Sato’s “The Spirits Play.” As a director, he has directed works transversing multiple genres, such as “NEPPU” and “ASYL.” He teaches at Tokyo Zokei University (Film/Performance), Kyoto Seika University (Visual Theatre/ Performance), and ZA-KOENJI Creative Theater Academy (Visual Directing for Theatre). The last man on Earth sits alone in a room as three boys spend a sleep over telling each other horror stories. A cross over occurs between a fictional man's life in solitude and the future of one of the boy's very own reality. 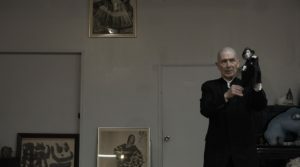 “Knock” was nominated for an Australian Dance Award for Outstanding Achievement in Dance on Film or New Media, the film also won “Audience Choice Award” at Made in Melbourne Film Festival and has screened at over 15 international film festivals, most notably Dance On Camera – New York 2015, San Francisco Dance Film Festival 2014, Dance Media Japan 2014 and Loikka Festival, Finland 2016. Special Talk on the 24th only! From about 6:45 pm to 8:30 pm.